Fruitvale Station is based on the events leading to the murder of Oscar Grant, a young man who was killed on New Years day 2009 by BART police officer Johannes Mehserle at the Fruitvale Bay Area Rapid Transit (BART) Station in Oakland, California. 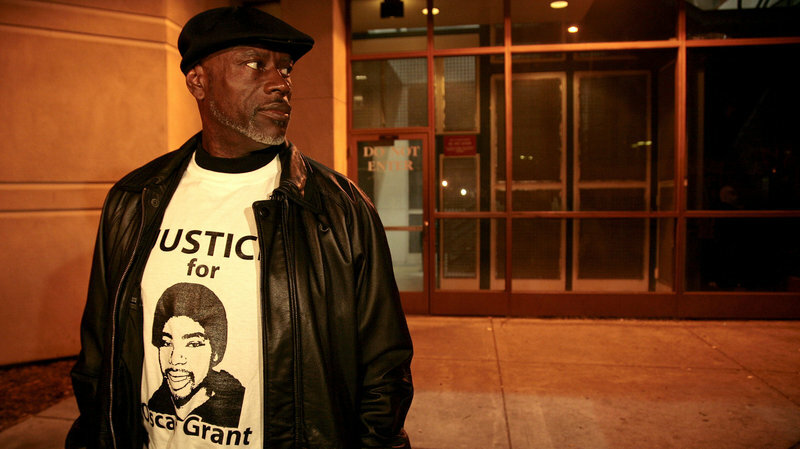 Thousands took to the streets in protest at Oscar’s murder – occupying the turnstiles of Fruitvale station – and a determined campaign led to the first prosecution of an officer in California’s history. During a recent UK-US justice tour across California, families in the UK met Oscar’s Uncle – Cephus ‘Uncle Bobby’ Johnson – who dedicated himself to fighting for justice for Oscar and is now building a network of families demanding an end to deaths and police brutality across the US.